A biopic on the life and journey of Olympic Champion shooter Abhinav Bindra will release next year. 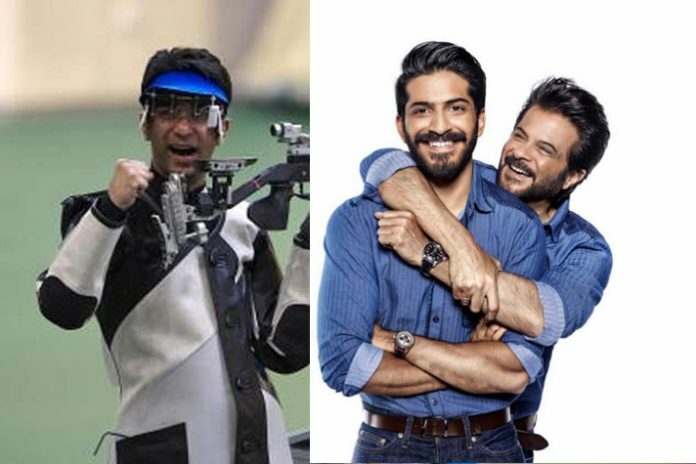 Father-son actor duo of Bollywood veteran Anil Kapoor and son Harshvardhan will play the 2008 Beijing Olympics Games 10-metre air rifle champion and his businessman father. Anil Kapoor and son Harshvardhan Kapoor will share screen space for the first time in the Abhinav Bindra biopic. The shooting is scheduled to start in January next year. The actor has broken the news on his official Instagram account. The 36-year-old Bindra is a former Olympic and World Champion in 10-meter Air Rifle. In the Beijing 2008 Games, Bindra had landed India’s only individual Olympic gold till date. It incidentally was also country’s first gold medal in 28 years since the men’s hockey team had triumphed at the 1980 Moscow Olympics. He had also returned a gold-winning performance at the 2104 Glasgow Commonwealth Games. He had quit active shooting shortly after a fourth-place finish in the 10-metre air rifle completion in the 2016 Rio Olympics, where he was also Indian Olympic Association’s Goodwill Ambassador for the national Olympic Games contingent. The actor will find the role versatile and challenging as Bindra dons many hats as a career shooter, a businessman now and a sports administrator, adviser and ambassador. He is a member on the board of advisors at the GoSports Foundation, Bangalore, to support India’s up and coming talented shooters through the Abhinav Bindra Shooting Development Programme. Harshvardhan will spend sufficient time with Bindra and his father. “My father (Anil Kapoor) will also spend a lot of time with them because he plays my father in the film so,,” says Harshvardhan. The biopic will track Bindra’s journey from him being a 15-year-old shooting protégé to 35-year-old Olympic champion.